The machinability of steel bars is determined by three primary factors. Those factors are 1) Cold Work; 2) Thermal Treatment; 3) Chemical Composition. Machinability is the result of Cold Work, Thermal Processing and Chemical composition- as well as the ability of the machine tool and the machinist. Cold Work improves the machinability of low carbon steels by reducing the high ductility of the hot rolled product. Cold working the steel by die drawing or cold rolling results in chips that are harder, more brittle, and curled, prodcuing less built up edge on the tools cutting edge.. The improved Yield to Tensile Strength ratio means that your tools and machines have less work to do to get the chip to separate. Steels between 0.15- 0.30 wt% carbon are best machining; above 0.30 wt% the machinability decreases as carbon content (and hardness) increase. Thermal Treatment improves the machinability of steel by reducing stresses, controlling microstructure, and lowering hardness and strength. While this is usually employed in higher carbon steels, sometimes a Spheroidize Anneal is employed in very low carbon steels to improve their formability. Stress Relief Anneal, Lamellar Pearlitic Anneal, and Spheroidize Anneals are the treatments applied to improve machinability in bar steels for machining. Carbon- low carbon steels are too ductile, resulting in gummy chips and the build up of workpiece material on the tool edge (BUE). Between 0.15 and 0.30 wt% carbon machinability is at its best; machinability decreases as carbon content increases beyond 0.30. Sulfur combines with Manganese to form Manganese Sulfides which help the chip to break and improve surface finish. Lead is added to steel to reduce friction during cutting by providing an internal lubricant. Lead does not alter the mechanical properties of the steel. Phosphorus increases the strength of the softer ferrite phase in the steel, resulting in a harder and stronger chip (less ductile) promoting breakage and improved finishes. Nitrogen can promote a brittle chip as well, making it especially beneificial to internal machining operations like drilling and tapping which constrain the chip’s movement. 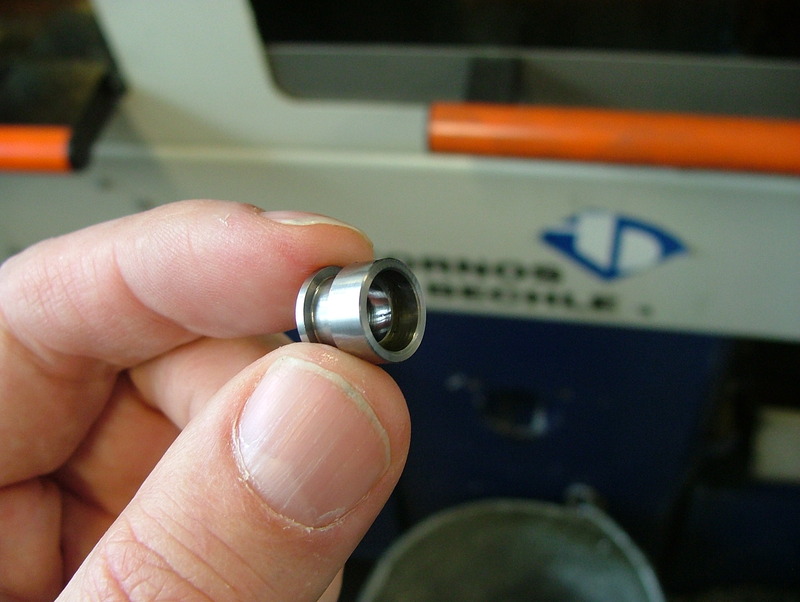 Additives that can have a detrimental effect on machining include deoxidizers and grain refiners. These elements reduce machinability by promoting a finer grain structure and increasing the edge breakdown on the tool by abrasion. Alloying elements can be said to inhibit machinability by their contribution to microstructure and properties, but this is of small impact compared to the factors listed above. This entry was posted on Tuesday, March 13th, 2012 at 5:48 am and is filed under Shop Floor. You can follow any responses to this entry through the RSS 2.0 feed. You can leave a response, or trackback from your own site. What is ideal S content in Medium Carbon steel. issues with Forgings lesser than 0.02 % Tool life in Milling has reduced.View Plz. We agree, but 0.02 is probably best we can hope for due to role of sulfur and surface imperfections. What is the ideal S content for Medium carbon steel. I have problems in Machining at 0.02%. View plz. Spec is 0.045 % max. tool life not as usual when less than 0.02%. I hadn’t heard much about the different types of metal treatment before reading this article. I was especially intrigued with thermal processing. It’s interesting that it lowers the hardness and strength. I assume this would allow it to be more flexible, which could be useful to machinists. Thanks for the informative article!